When you’re about to throw something in the trash can, tell yourself “stop!” and make sure the item is not recyclable. A tremendous amount of the packaging, paper products, containers and plastics we discard every day are recyclable. Currently, Montgomery County has a 61% waste diversion rate and our hope is to get to 70%. 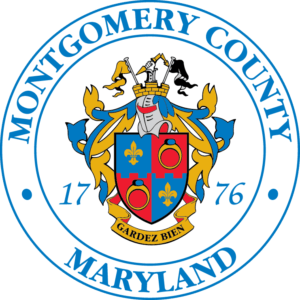 Most Montgomery County residents have curbside recycling pickup. Those that don’t, can hire a private hauler, or drop off for free at the Montgomery County Transfer Station or the Poolesville Beauty Spot. If you need new recycle bins, or the latest guides on what can or cannot be recycled, visit https://www.montgomerycountymd.gov/sws/programs/. Remember: the cities of Rockville, Gaithersburg and Takoma Park have their own service. For items that can still be reused, consider donating or freecycling. If you are moving, or simply doing some spring cleaning, we suggest gathering four to five large bins and labeling them with “Things to Throw Away, “Donate,” “Recycle,” and “Other.” If you have to think about it for more than 10 seconds, pitch it in one of these bins! Helps to preserve open spaces. Recycle your old working refrigerator or freezer with Pepco and you could receive up to $50. If you recycle a working room air conditioner at the same time, you can receive an extra $25. ￼View the hours and materials accepted at the Transfer Station and Poolesville Beauty Spot. Organize a community swap. The Center for a New American Dream has a lot of resources on how to organize and host a swap meet for clothing, books, food/recipes, seeds and more. Before you recycle something or throw it away, see if someone else can use it!